Dorrien Estate, a five-star James Halliday rated winery based in the Barossa Valley, forms part of this group producing "benchmark wines by exclusively partnering with leading winemakers and sourcing from some of Australia's most celebrated regions". And, interestingly, Vinpac International also forms part of this group, providing specialist wine packaging, wine making, bottling and warehouse/dispatch services. 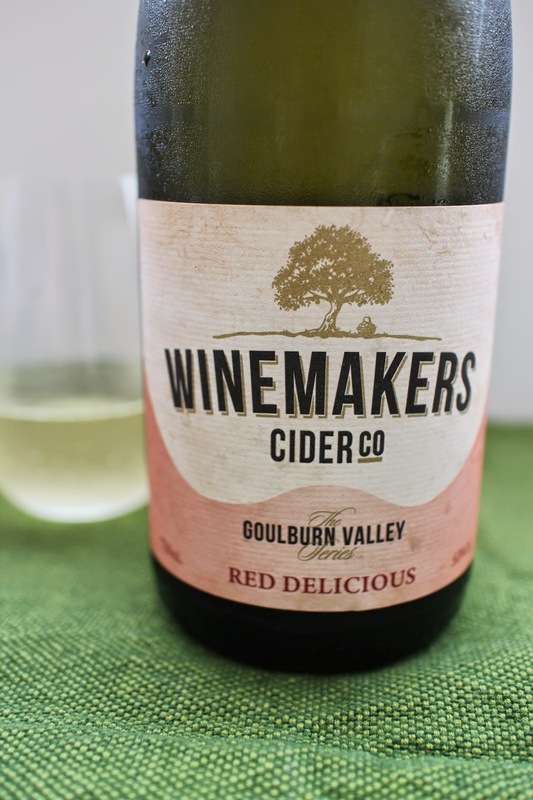 With a fresh finish and very low acidity, what I like about this cider is that it is not overly fizzy, lending itself to a very fine carbonation. However, this cider is very very sweet and doesn't have many layers of complexity. I do however like the difference in flavour provided by the red delicious. It would be best served in a small glass without ice before a rich meal. I don't think it's something you could drink a lot of and it is definitely not one for traditional cider enthusiasts. At 5% alcohol, a 750ml bottle will provide you with 3 standard drinks. The Food Mentalist purchased Winemakers Cider Co Red Delicious at Dan Murphy's. RRP $7.99 per 750ml bottle. I'm going to go onto my full license soon so the tips about standard drinks helps-thanks Erin! Thanks for the sharing this wonderful information.